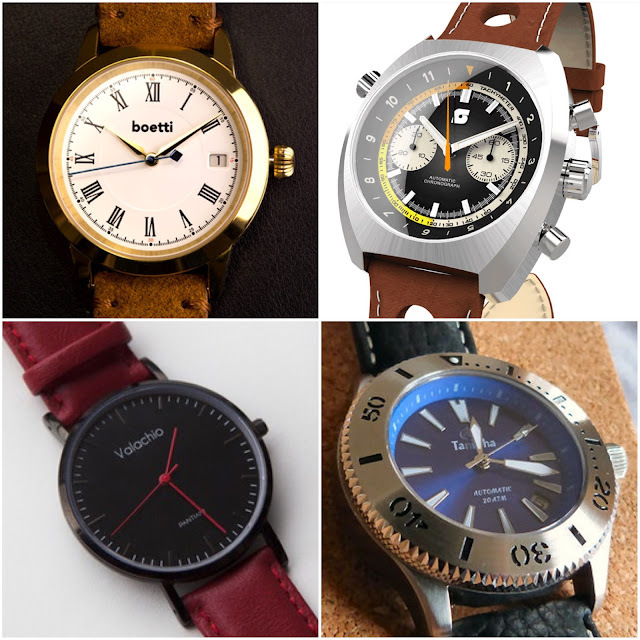 It's time for another round of Kickstarter watches. Here are a few that have caught my eye. 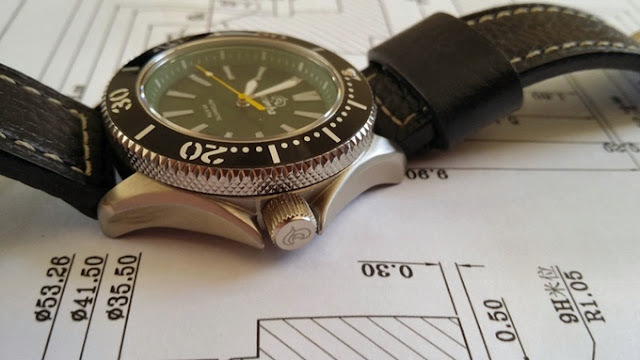 I often complain that modern dress watches a just a little too large. Boetti solves this problem with a tidy 36mm case that is just under 10mm thick and still manages to squeeze in a Miyota 9015. The Roman numerals, dauphine hands and vibrant blue ceramic second hand are quietly attractive. With front and rear sapphire crystals, Italian leather straps, and pre-orders available from just $220, the Boetti is an appealing proposition. The Straton Watch Company returns with another automobile-themed stunner. 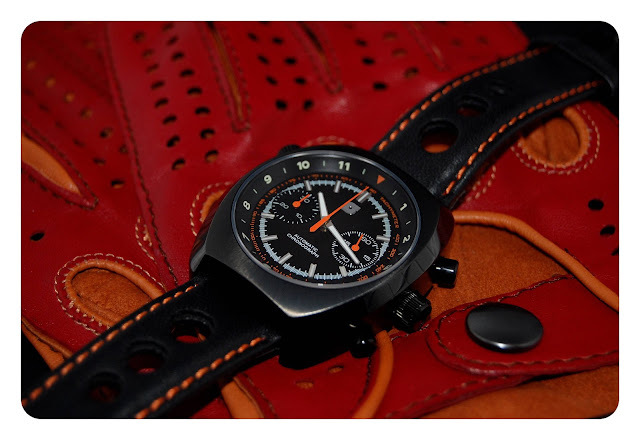 The Curve-Chrono is a barrel cased chronograph reminiscent of a Heuer Montreal. 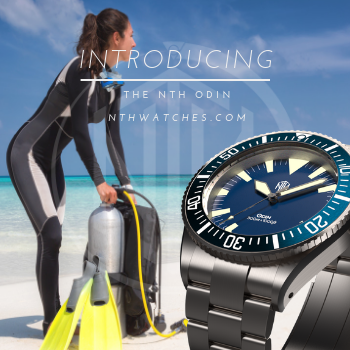 It features a domed sapphire crystal, 100m water resistance, and a dizzying array of options: five dial colors with or without date, 39.5mm or 42mm cases, steel or black finishes, Seiko VK64 mechaquartz or NE88 automatic movements, leather or mesh straps, and a choice of two of seven racing livery NATOs. You even get to select one of two stamped racing wheel case backs. 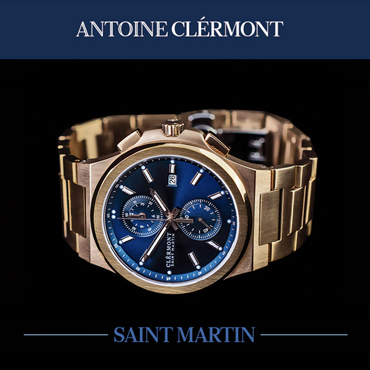 The Curve-Chrono starts at $289 for the quartz and $703 for the automatic. While you're at it, why not get a pair of colorful Stratton driving gloves for $92? Stay tuned for a full Time Bum review. Taniwha is back for another go with their 200m dive watch. 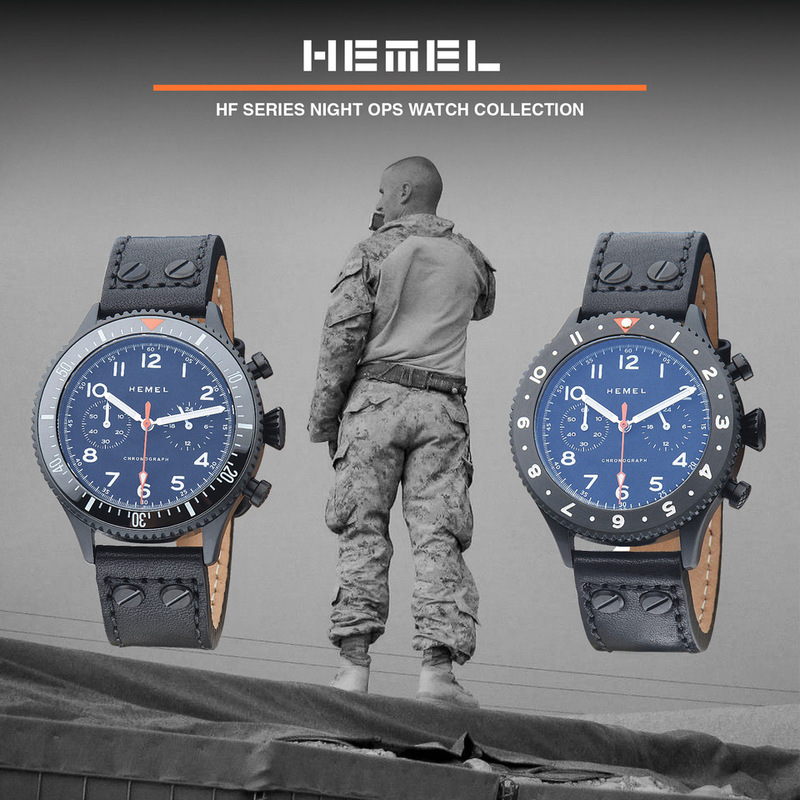 Previously featured on The Time Bum, it boasts a Seiko NH35 automatic movement, a sapphire crystal, and some of the wickedest crown guards you've ever seen. 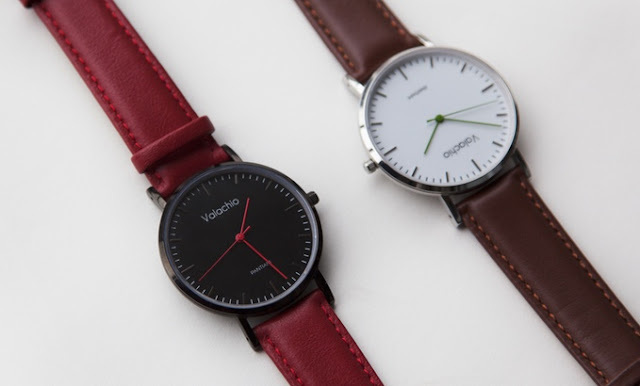 Three colors and two bezels are offered, starting at just $240. What's this? 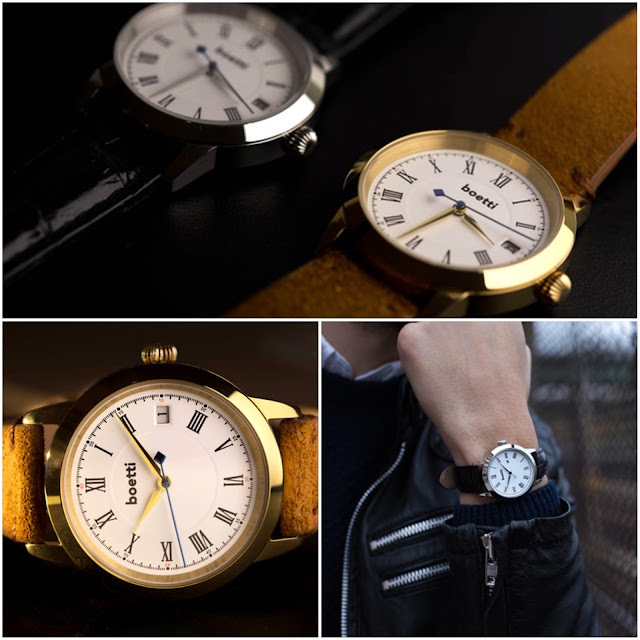 Another minimalist quartz on Kickstarter? 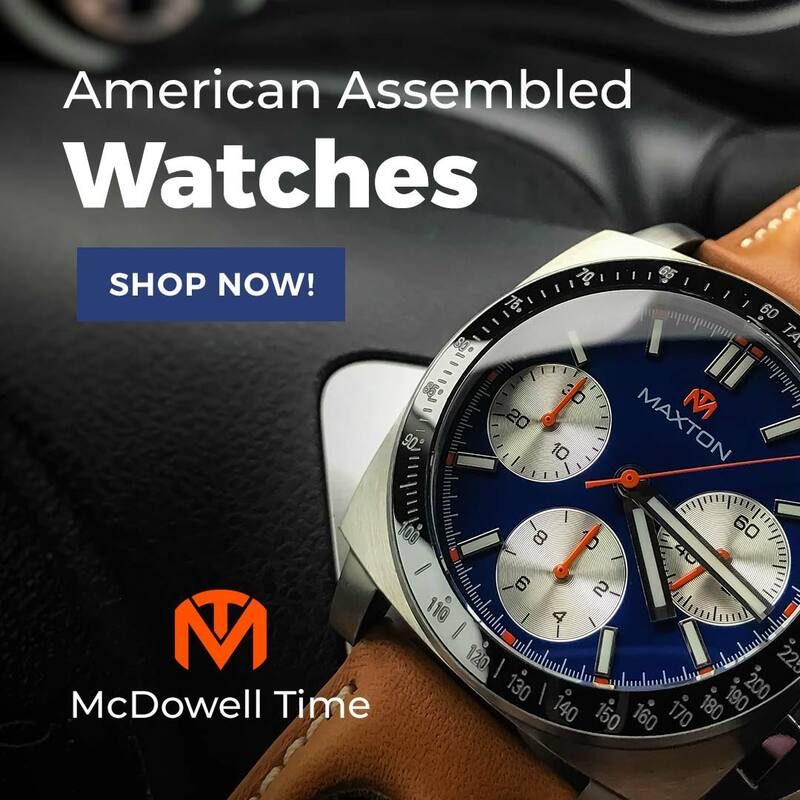 Well, yes, but while the 40mm, drilled-lug case and stick-marker dial may be familiar, the Pantiam gives you a Ronda 763, sapphire crystal, and choice of nifty calf leather straps with quick release bars at a bargain price. Pre-orders are still out there for $75.